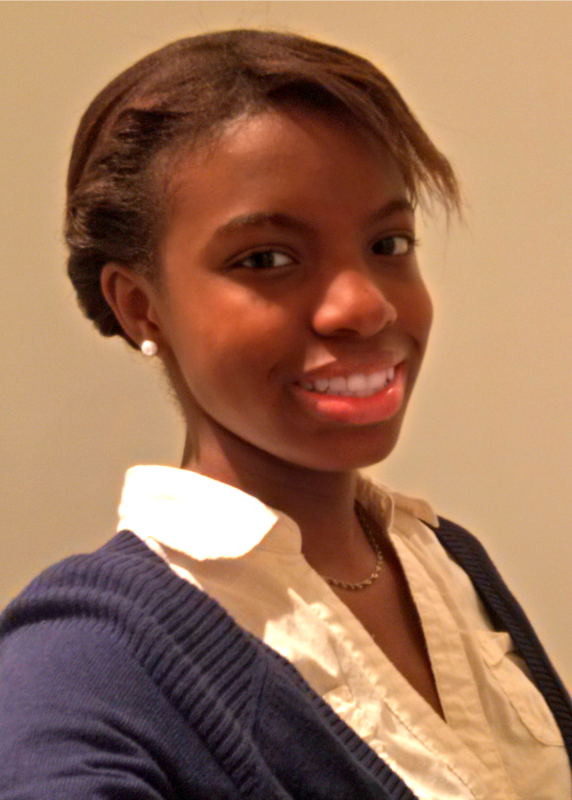 Randi Williams, ’16, Computer Engineering, is a co-founder of hackUMBC. 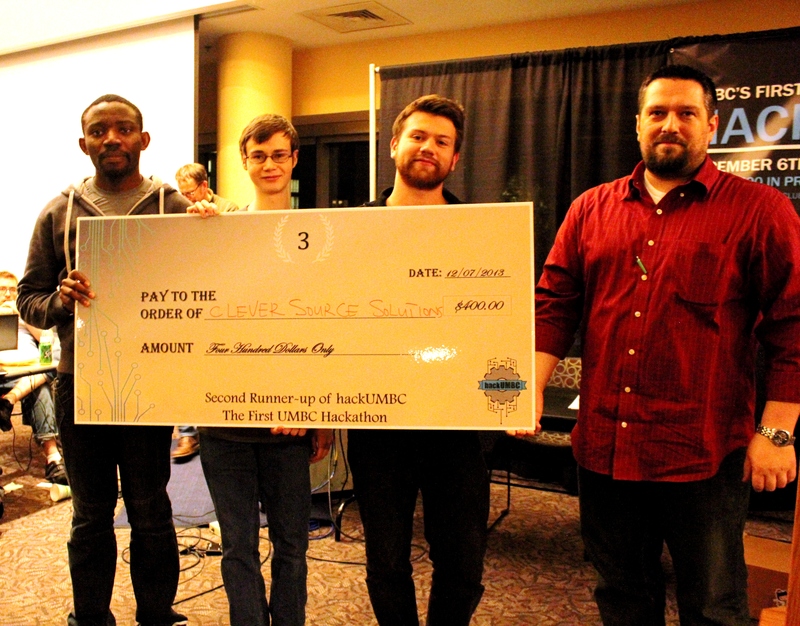 22 teams of UMBC hackers spent an intense 24 hours late last semester in a battle of creativity and wits aimed at improving campus life. This first-ever UMBC hackathon—hackUMBC–was itself the product of a creative breakthrough, stemming from a conversation I had in a San Francisco Starbucks four months earlier. We felt the need to share this enthusiasm with our community. We invited two more UMBC students to join our team–Alexander Morrow, ’14 Computer Science, and Prajit Kumar Das, a Ph.D student in Department of Computer Science and Electrical Engineering. We approached Student Life, SGA, and the Shriver Center for initial guidance in planning a 24 hour event on campus. The Computer Science Department also assisted us in generating the kind of ideas, capital, and marketing needed to get 100 people hacking in one place. In early Internet history, a “hacker” was a computer programmer who used their talents and skills to quickly create programs and systems, often in pursuit of a solution to a complex issue or problem (only recently has the term taken on other meanings, including illegal cyber activities). A “hackathon” is a set period of time in which hackers—the good kind!—convene to develop these new programs together. 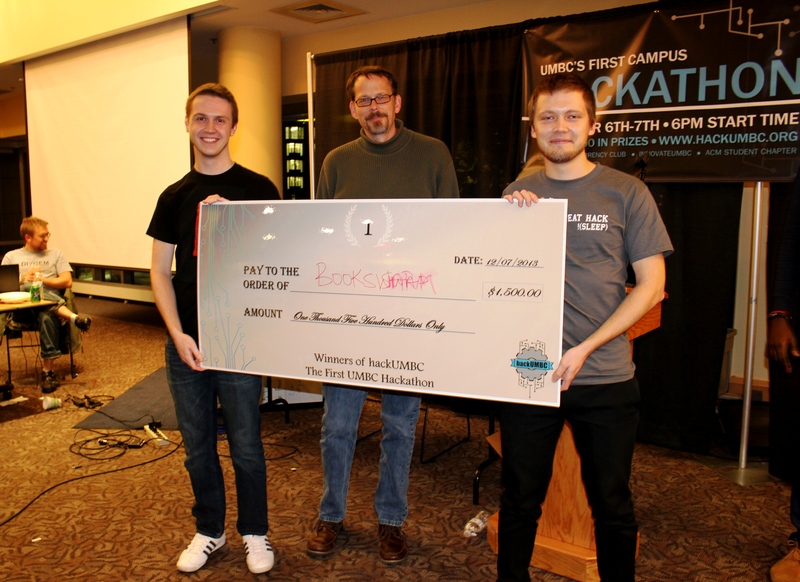 BookSwap (1st Place): Ilya Dynin and Rostislav Tsiomenko designed and implemented a “point-and-click” online tool, which any university student could use to buy/sell textbooks from/to other students. ErillLabs (Integration of Professor Evaluations with Course Selection) (2nd Place): Robert Forder, Talmo Pereira, Patrick O’Neill and Sefa Kilic used SCEQ (Student Course Experience Questionnaire) data to create an improved version of UMBC’s course registration site, allowing for students who are registering for new courses to simultaneously view the evaluations for the instructor of each listed course. Clever Source Solutions (Tracking Trends in Course/Professor Evaluations) (3rd Place): Edward Mukasey, Ian Shefferman and Chinonso Ugwu compiled all of the SCEQ data into easily read graphs that shows how SCEQ data has progressed in different ways for professors and classes over time. Other hacks included making it easier for students to keep track of their grades, form study groups, better navigate myUMBC, and find places to eat. hackUMBC was incredible, but it is only just the beginning. Our next move is to start a new club on campus called innovateUMBC. Michael Bishoff and I, with support from the other hackUMBC organizers, will be leading this organization. innovateUMBC will be hosting more hackathons, starting this spring, and visiting hackathons at other schools around the country. We look forward to working with the UMBC community to identify and develop additional ways to improve campus life. Contact the author, Randi Williams, at fw48771@umbc.edu. 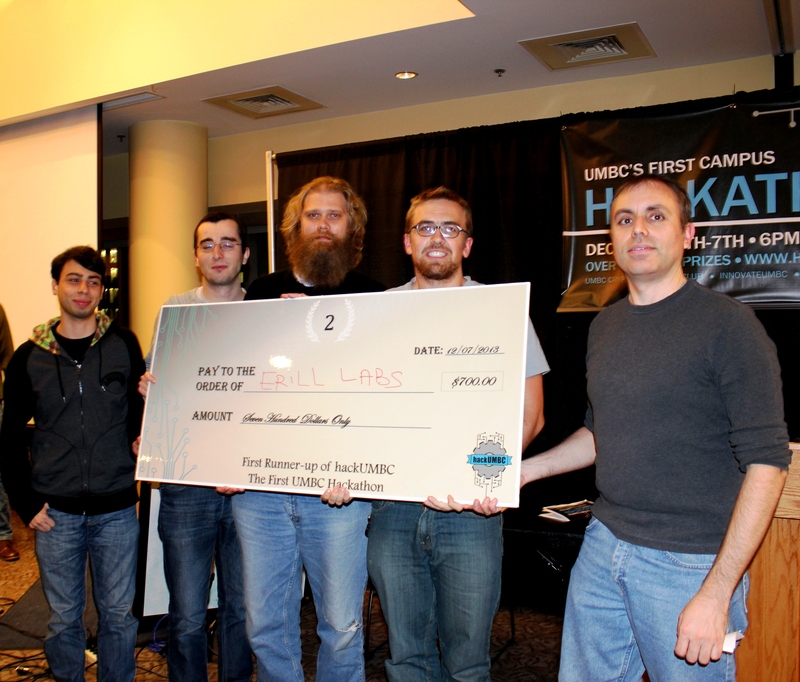 Contact the hackUMBC team at hackumbc@gmail.com.